If you are aiming to keep your oil at better-than-brand-new-oil cleanliness level than PM Tech Resources system is the prefect answer. Our system are use by industry majors in automotive to injection moulding to huge turbines. An oil filtering system capable of removing less than one micron size particles, removing entrained water to under 100ppm, air and gases from hydraulic oils, fuel oil, turbine oil, lube oil, gear oil. Using our system to restore dirty oil and maintain it better than new oil. 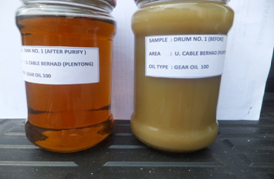 Benefit of Oil Purification & Filtering. Reduce purchase new oil cost up to 70%. 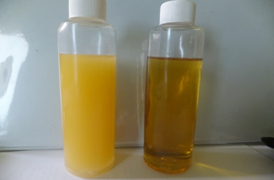 Increase life of hydraulic oils. Helps to maintain all properties of oils. Extend life of in-line machine filter. 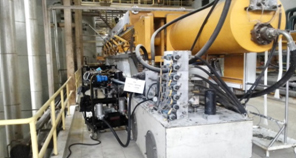 Prevents machine downtime due oil contamination. Reduce sticking of Proportional valve. Reduces wear of seals and pump. Removes contaminant particles down to less than one micron. Removes water content from oil down to less than 100ppm. No machine downtime as oil is cleaned continuously while machine is in operation. Economical to use and can provide quick return inversment.